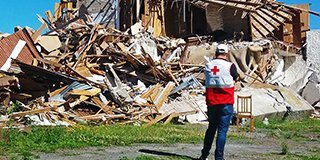 Almost seven years after the first devastating Christchurch earthquake, New Zealand Red Cross is still working in the region supporting people affected. Delve into our timeline to learn more about our milestones and how we helped greater Christchurch communities recover. The earthquake occurred 40km west of Christchurch and caused widespread damage to water, power and sewerage services. The earthquake occurred 10km southeast of Christchurch, killing 185 people and causing major damage to Christchurch land, buildings and infrastructure. At its peak a team of 151 staff worked 8am to 8pm, seven days a week processing grants for earthquake-affected Cantabrians. We delivered 4,500 winter warmer packs to people in greater Christchurch living in cold and earthquake-damaged houses. Research showed the quakes had significantly affected young people, so we launched Address The Stress to provide advice on how to deal with tough times. 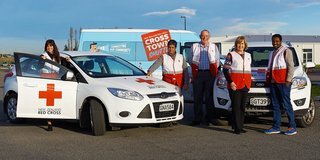 We introduced a “cross-town shuttle” to help vulnerable and socially isolated Cantabrians attend appointments and activities. We delivered another 9,250 winter warmer packs to people in greater Christchurch living in cold and earthquake-damaged houses. 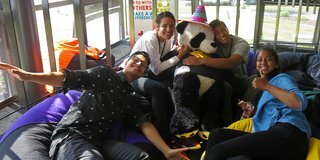 We provided $2.3 million to place youth workers in 30 schools and funded seven full-time social workers for primary and intermediate schools in greater Christchurch. 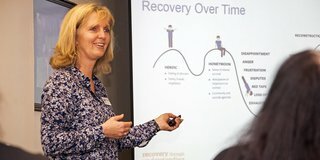 We launched psychosocial workshops to help people understand the recovery journey, the effects of stress and how to improve personal well-being. Bounce.org.nz replaced Address The Stress to promote positive well-being tips to young people. To be more flexible and meet the increasing demand, we upgraded and expanded the fleet of vehicles. 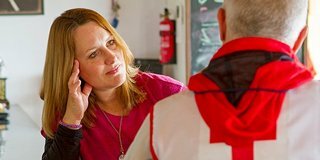 Lessons learnt from our involvement in the earthquake recovery inspired a new psychological first aid training programme that we rolled out nationwide. Between March 2011 and June 2016 the cash grants programme distributed more than $98.3 million to earthquake-affected Cantabrians. Our expertise and the lessons learned from Christchurch helped us effectively respond to residents' needs in Hurunui, Kaikoura, Marlborough and Wellington. Recovery-initiated programmes continue to operate, while the focus now turns to building community resilience and preparedness.